Customer-focused, trend-conscious menu development and product innovation. Improve and sustain operational efficiencies. Elevate the customer experience with optimized store design. Strengthen customer brand affinity with on-target marketing and engagement. 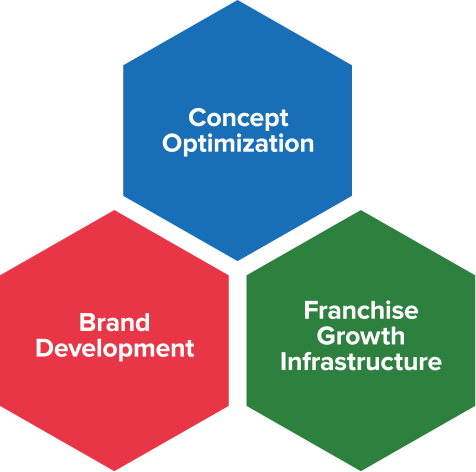 Comprehensive franchise sales, operations, legal and finance support infrastructure to enable rapid, high quality expansion. BRIX Holdings name, design and related marks are trademarks of BRIX Holdings, LLC.